They were signed to Yorkville Records in 1970 who got them a distribution deal with Capitol. They released their debut PUT YOUR HAND IN THE HAND, the title track to an upbeat that owed much of its stylistic origin to pure hand-clapping gospel that Gene MacLellan had originally written for Anne Murray, who coincidentally also was on Capitol's label. 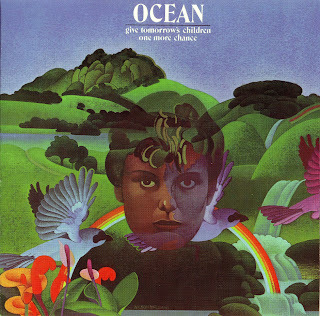 Although Murray recorded the song two years before Ocean, the song was buried on her album and received no attention from executives. Ocean, meanwhile, saw the song released as their first single while they still played high school dances and night clubs around Toronto. That soon changed, and the band began playing to crowds across North America, into Europe, and appeared on just about every Hit Parade type of TV show on the air. The song eventually topped Canada's charts and reached number 2 in the US, selling well over a million copies in the process. Still with Yorkville, they scored a distribution deal with Kama Sutra Records in 1972. 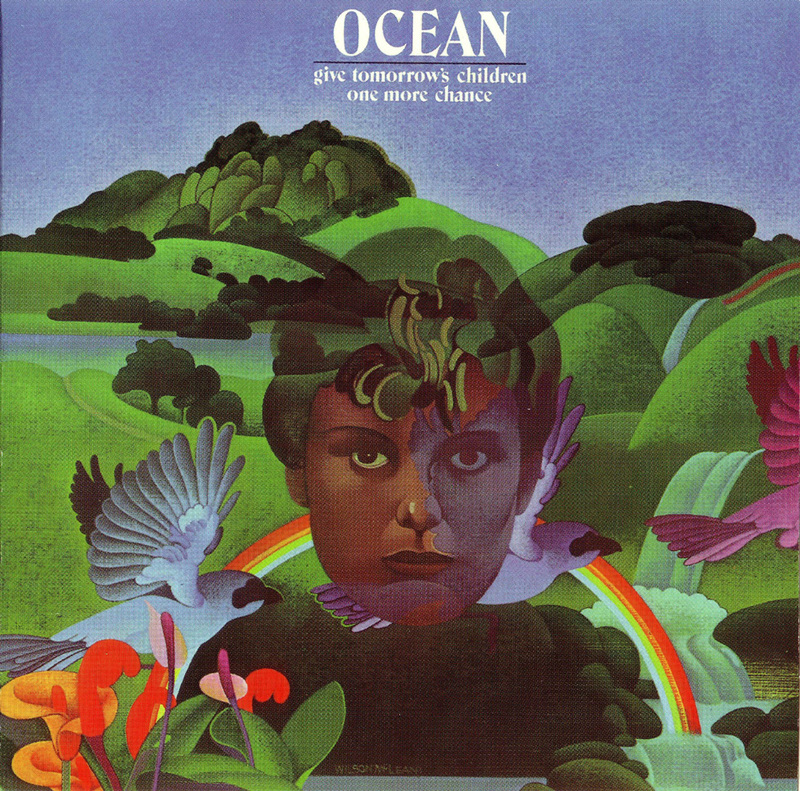 They returned to the studios in Toronto, and released their follow-up "Give Tomorrow's Children One More Chance" later that year. The band tried to veer away from the easy listening gospel formula for success that made them overnight sensations only a year and a half earlier, though still just as preachy in their own way. The music on the second album moved away from the gospel sound towards more of a folk pop sound. Once again the songs were the highlight of the album, written by some of the best in the business including, Robbie Robertson and Richard Manual (The Band), Cook and Greenway, Steven Stills, Carole King and others. 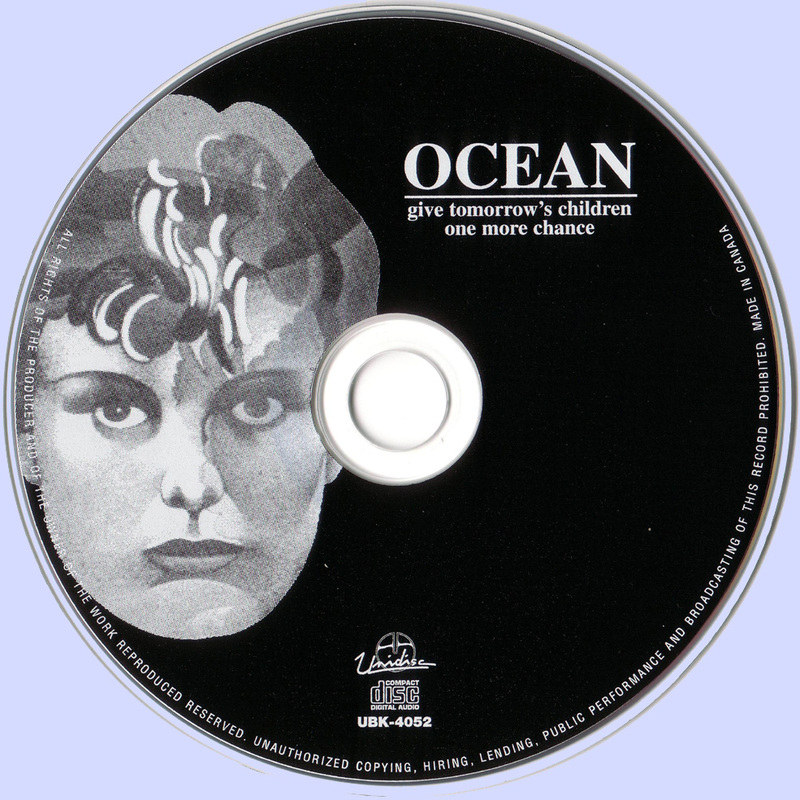 Despite the strong songs on the album, Ocean only managed to score a minor hit in Canada with the song "One More Chance" and were subsequently dropped by the label. Thanks for putting this up Marios - appreciate it. Anyone have the first album "Put Your Hand In the Hand" they could post pls? Hi Marcos, great Blog. Thank you so much. Unfortunately the link safe link doesn't work any more. I would appreciate it if you would fix it! thanks for providing me the opportunity to take one more chance!